As we are practicing the chanting of veda mantras, we have experienced that it have been a source of Inspiration which leads to higher lives and it helps in character building which is the main objective of education. 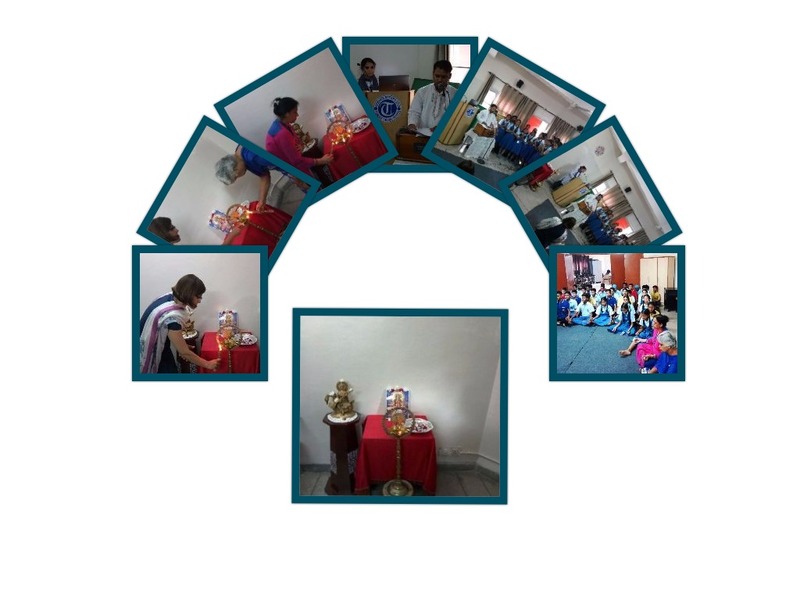 A vedic chanting workshop was conducted for five days by Music Dept. of the Tribune Model School entitled, “Narayan Upanishad”. The resource person was Mr. Sai Keerthan, Business Manager of “AHAM I AM ENOUGH” Training Group. The mantras of “Narayan Upanishad” were practiced by the students from class VII to X which laid emphasis on life principle, mind, all the senses, sky, mind, fire, water and earth. While teaching, the resource person explained how all things and beings emerged from the Almightly. 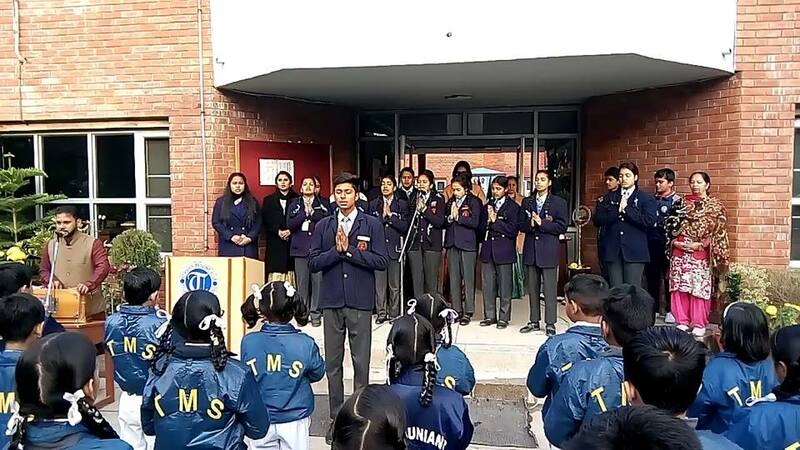 The mass chanting of these mantras created much positivity and zeal in all students and teachers. Tribune Model School today celebrated Vasant Panchami with full enthusiasm. Principal Ma'am, Ms. Vandana Saxena, lighted the lamp and offered flowers to the Goddess Saraswati Mata. 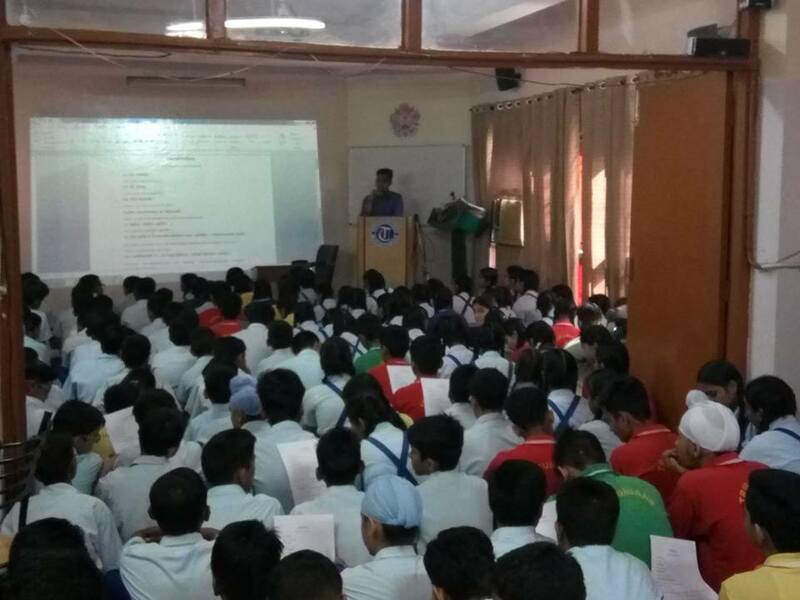 The students of class X chanted vedic mantras. This festival marks the onset of spring. "May this festival brings the wealth of knowledge to you". Gayatri Jayanti was celebrated at Tribune Model School with full enthusiasm. The Programme was started with Ganesh Vandana followed by bhagans. The Programme was concluded with Gayatri Mantra. It was purely an honour and proud moment that our students Tanvi, Deepti and Adarsh along with Mr. Atul Dubey, Music teacher got an opportunity to perform before Hon’ble Chief Minister of Haryana Sh. Mahohar Lal Khattar Ji on April 10, 2017 at Indra Dhanush Auditorium Sector – 5, Panchkula. It was an invitation by the Income Tax Department to perform in this august gathering. 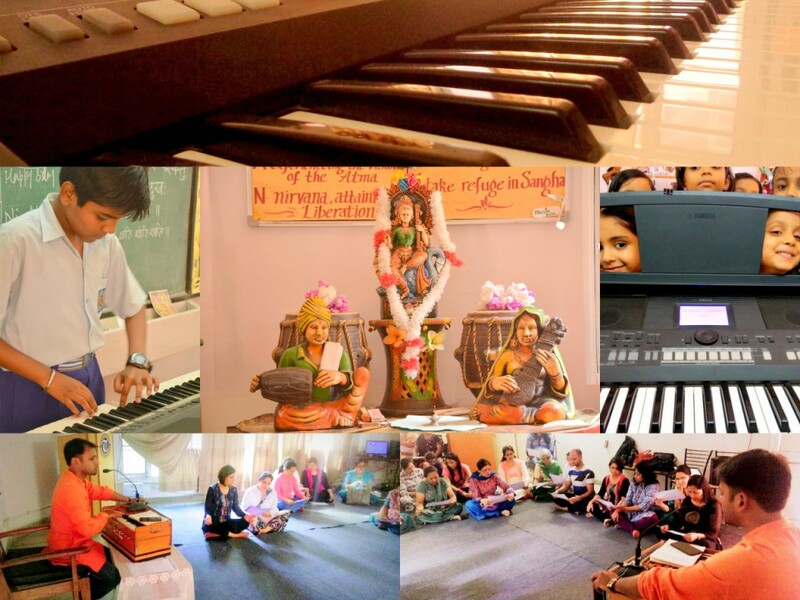 A vedic chanting workshop was conducted for three days by the Music Dept. of the Tribune Model School to enhance the memory power of the students. The resource person was Sh. Prafulla Chandra, a research from the dept. of Earth and Environmental Science, Indian Institute of Science and Education Research (IISER). The Mantras of “Medha Suktam” was practiced which laid emphasis on, an awakening ones intellectual power. 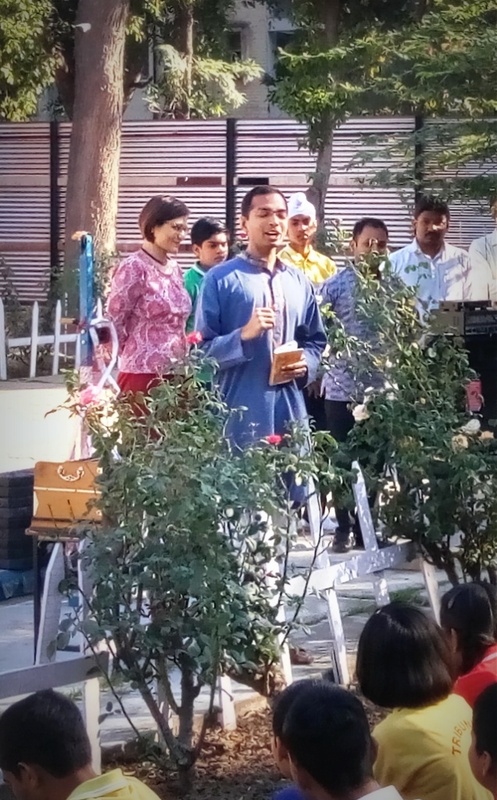 While teaching, the resource person sensitized the audience by explaining the intonations of the mantra and highlighted how brain is channelized with the vibrations and generates positive thoughts in every task undertaken by us. The session was purified and vibrant with vedic chanting. All the students and teachers participated with great zeal and enthusiasm. Ohh… Sunrey Manva, morey manva, sun lena..! Marte ko zindagi ka daan karde, neki ka koi aisa kaam karle..
Rakt Daan karle, Rakt Daan karle!! Apni khushiyo ko sabse baant ley! Khud se khud ki tu Pehchan karle, Rakt daan karle.. Rakt Daan karle!! Chaahe andhi ho, tufaan ho..! Neki ka jab bhi koi kaam ho..! Khud pet u thoda Abhiman karle, jeewan ko apne tu mahaan karle!! Rakt Daan karle, Rakt Daan karle..!